Sapphires have been mined in Burma (now Myanmar) for over a millennium, the stones admired for their colour saturation and dark hues. A Belle Epoque wirework brooch set with diamonds around a central cushion-cut and crown-set Burmese sapphire of around four carats – £44,000 at Laidlaw in Carlisle. The most famous location is the Mogok Stone Tract but current mining is severely limited, meaning many of the best stones are those appearing on the secondary market. 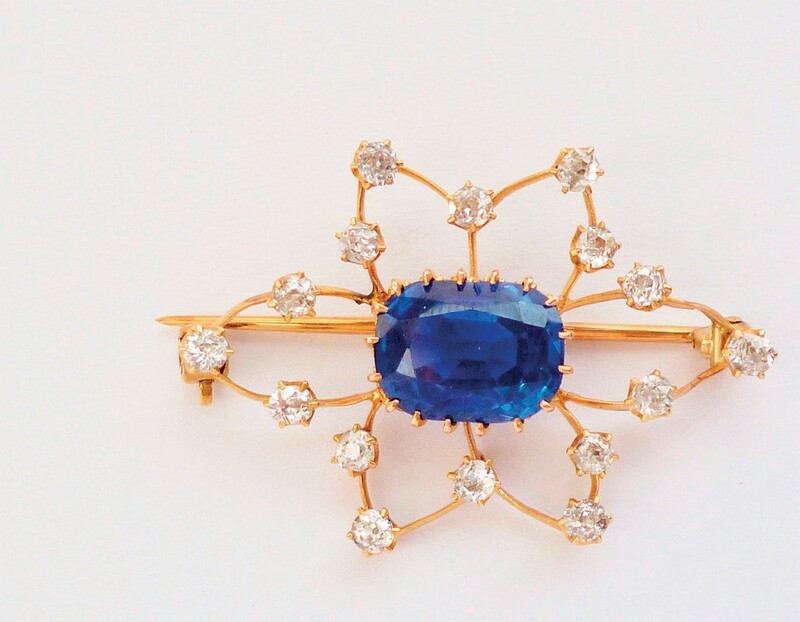 Estimated at £2000-3000, this Belle Epoque wirework brooch set with diamonds around a central cushion-cut and crown-set Burmese sapphire of around four carats sold for £44,000 at Laidlaw (18% buyer’s premium) in Carlisle on December 8.